Hello folks! Nobody ever said being an arborist would be cheap. I have added a new piece of equipment in the Thirsty Water Enterprises lineup – a chainsaw. Yes, I sure do. It’s an Ego 56V electric chainsaw, and it works very well. The battery lasts a long time, it doesn’t spew noxious exhaust, and it’s relatively quiet for a chainsaw. It is light and quite manoeuvrable hanging from my hip while climbing a tree. The bar, however, is only 16″ long, and if I’m going to tackle the big jobs then I’m going to need a bigger saw. Enter my new Stihl. Stihl is probably the biggest name in chainsaws. If I’m going to get a larger gas chainsaw, I want it to be one trusted by arborists the world over. The model I selected was the MS 661 C powered by a beefy 91cc 2-stroke engine. The largest bar the 661 can handle is 36″; naturally that was the bar I selected with it. This saw is so powerful that the smallest bar it can handle is 20″ without over-revving due to insufficient load. I haven’t had the opportunity to use it yet, though I am removing a pair of rather large trees this week and will be putting it through its paces. 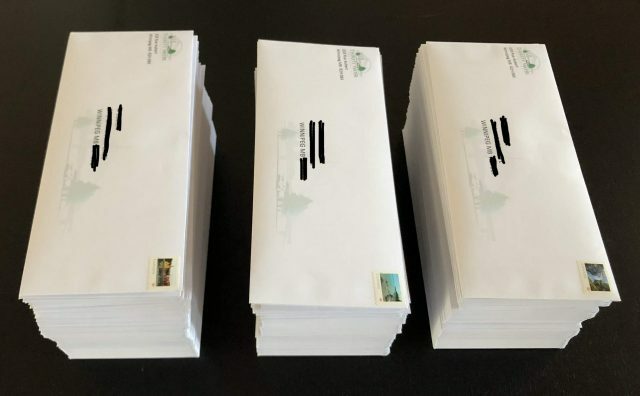 Nobody really likes getting flyers and junk mail. While they certainly don’t bother me, I have no problem dropping them into the blue box after a quick read to see if it’s relevant to me now or if I think it will be in the future. But how is a new business supposed to grow? Word of mouth is the best form of advertising, but when one is relatively new one must advertise. *Everybody* knows about Coca Cola and McDonald’s; I’d guess they still probably spend more money on one advertising cycle than my humble business will ever earn in my lifetime! Happy Spring / Are we done with the snow? I really want to thank my snow clients (monthly contracts, vacation contracts, and one-off customers) for making my first year in the snow clearing business a successful one. Taking my leave from “Corporate Canada” to pursue life as a self-employed arborist in November meant having to get my off-season plan going full-time before I could even start the tree side of my business. 🙂 I learned a lot, bought some gear, have my eye on some more gear for next winter, and hopefully provided my clients with superior service. 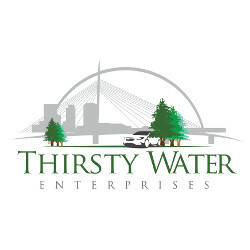 Thirsty Water Enterprises now accepts credit cards! I’m very happy to announce that I can now accept credit cards (tap as well as chip and PIN) and smartphone tap as forms of payment. As my existing clients know, my accepted methods of payment were Interac eTransfer, cheque, or cash. Those methods of payment are still accepted and even preferred as they do not incur service fees, but I do realize that not everybody wants to pay that way. Myself included. Personally, I pay for *everything* possible on my credit card. As a small business owner, I am now aware of the service charges it incurs on the business owner, but it makes it easy for my wife and I to keep track of our spending, and of course we benefit from the points collected on our card of choice. Thanks to Square Payments, in addition to Interac eTransfer, cheque, and cash, I can also take VISA, MasterCard, American Express, Apple Pay, and Google Pay onsite after the job is complete. If you are not there to provide payment when I am done (a very common occurrance and certainly no problem at all), I will send an invoice through Square. It includes a “Pay Invoice” button which will let you enter your credit card information securely online and pay that way. Of course there’s no obligation to pay by credit card. As always, you can still pay by eTransfer, cheque, or cash if you prefer and I will apply that payment manually to your invoice. This is an exciting time! 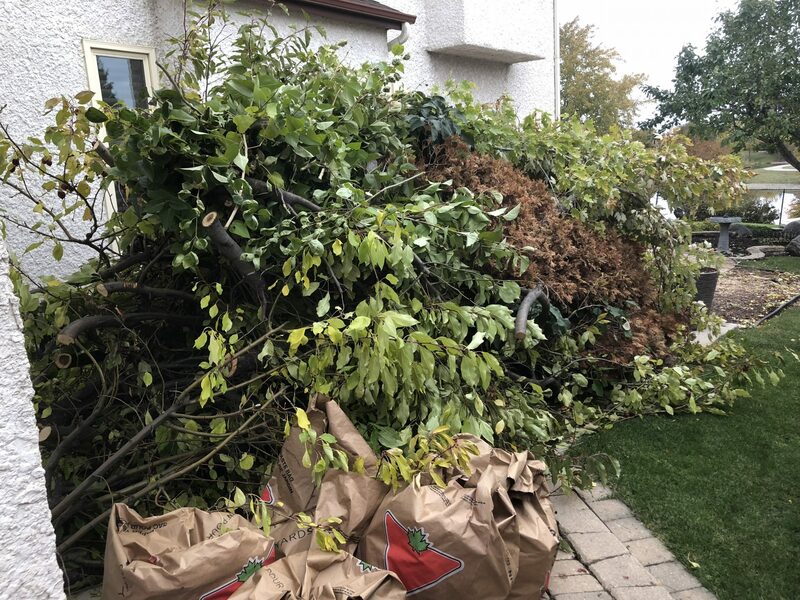 Anything I can do to make my tree care and snow removal services more accessible and convenient to my customers is a win-win. Besides, it makes me feel like my business just grew up a bit. Hello all, and welcome to the first installment of “Tools of the Trade”. 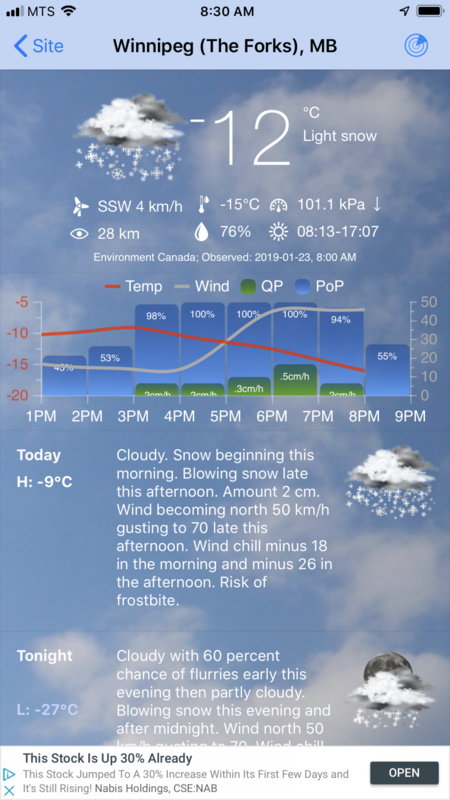 Every now and then, I’ll write up a blog post and/or create a video about one of the many tools of the trade that I use in my day to day life as an arborist (and snow clearer during these winter months). A wood chipper was definitely not my first purchase in my journey of being an arborist, but it is certainly the most costly to date. I had been making do with my little 4×6 utility trailer to haul brush away to the Brady Road 4R Depot for composting, but brush is very inefficient. As much as I stomped and jumped and crammed in the brush, my trailer loads still consisted mostly of air. Larger jobs saw me making one, two, or even three trips to Brady Road for a single job. That’s not at all sustainable! Enter the wood chipper. By chipping down the brush into coin sized wood chips, the load is compacted tremendously. Virtually all the wasted space taken up by air in the brush is removed as the chips compact down very densely. How much depends on the type of brush and how efficiently it was stacked, but I’d say it is easily a 10x reduction in volume based on my experience. Perhaps one day after a pruning job I’ll make a video comparing the before and after. Keeping in mind I am growing my business slowly and steadily without taking on tens or hundreds of thousands of dollars of debt for equipment (which is very easy to do! ), I decided to get the largest commercially rated wood chipper I could find that is *not* towed behind a vehicle. This ended up being the Dosko 4″ Wood Chipper, model 13-21T-13H. I have had excellent experiences with Dosko equipment before having rented a Dosko stump grinder on several occasions. (Fun fact – the stump grinder I’m using in the photos in the media gallery is indeed a Dosko stump grinder.) I had also previously rented a 4″ tow-behind wood chipper made by SplitFire, and I was quite impressed with what a 4″ chipper can do. Anything larger than that, and I’d rather the logs be put to use as firewood anyway. Why don’t I want to tow my chipper? Since my truck is a full size SUV and not a pickup, I’d rather not chip directly into the hatch! 😉 That’s why I don’t want to tow the chipper; I’d have nothing to chip into. By stowing the chipper in the trailer, I can easily bring both to the jobsite. The Dosko chipper is powered by a 13HP Honda GX390 commercial engine. It is a very highly rated 4 stroke engine. It starts easily, and it is very fuel efficient. The fuel tank is 6 litres, and though I always bring a Jerry can of gasoline just in case, I’ve never needed it mid-job. My largest single chipping job to date was a giant pile of brush (about 7 feet tall, 7 feet wide at the base, and about 15 feet long) that I had accumulated on a large trimming and removal job. Even then, I only used about half a tank of gas. I also created a video of the first time I ran my chipper after setting it up. It works quite well, although as you’ll see the first run wasn’t without its hiccups… Enjoy! Good morning folks, and happy Sunday! Thirsty Water Enterprises is now full time! Thirsty Water Enterprises was born as a part time endeavour on the side, but I’m thrilled to announce that I am now officially taking my business full time. 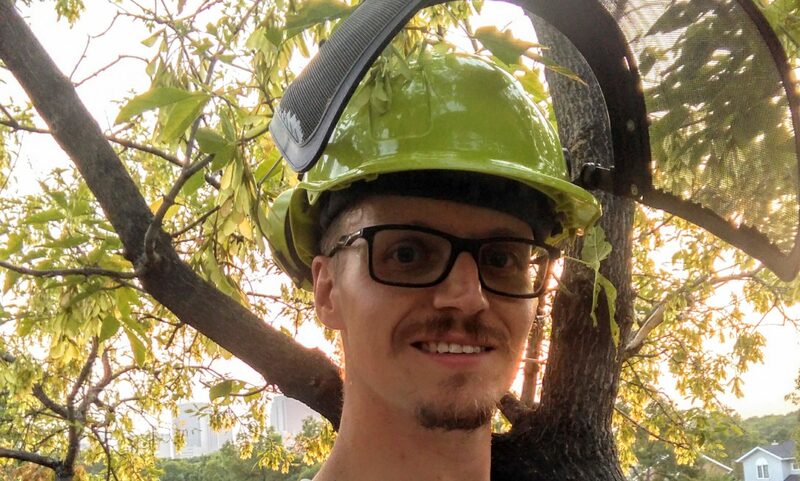 The time was right for me to take my leave from my engineering day job after eleven great years and focus 100% on being an arborist. I had a wonderful sendoff: breakfast, lunch, a card signed by the whole team, and a great parting gift. I made many friends in my time there, and I hope we keep in touch. It was an amazing chapter in my life, and quite a long one relatively speaking, but now I am flipping the page and starting the next chapter. Don’t hesitate to contact me for your tree care and snow clearing needs. I’m ready, willing, and able to provide you with the best service possible. Just kidding, I do know what a blog is. After all, prior to becoming an arborist, I’ve had decades of experience working with computers and other electronic and technological systems. I even have my bachelor of engineering degree (computer engineering) from the University of Manitoba having graduated in 2002. Why then with that background did I choose to add “arborist” to my résumé? Good question! My employer, with whom I am also still currently employed and have been for eleven years, was undergoing some large scale changes. My job had always been secure, but now things were up in the air. I could conceivably have been given a handshake and led out the door as a result of downsizing. I have a family to take care of, so I needed a backup plan. Okay, fair enough, but again – why arborist? I had long felt a longing to work outdoors in some sort of landscaping sort of area. I didn’t have any experience in that area, but I just knew that I wanted to consider that as a possible change. At the time I didn’t even know what the word “arborist” meant, not until I needed a tree removed in my own back yard. What do you call a person who cuts down trees? A tree guy/gal? After asking around, I found some friends who had used an arborist for tree work. After calling a few, I went with a recommendation and hired one to safely remove the tree that was naturally leaning over the house (no big deal) and starting to show signs of rot (oh, now that could be a big deal). This particular angle to the whole landscaping / outdoor work theme that was stirring in my belly really intrigued me. I researched the topic like a mad man. It was fascinating! The work looked very challenging yet terribly exhilarating. Who wouldn’t want to climb a tree and swing around like a monkey for a living? Well, after discussing it with my wife, the next thing you know I’m registered for the licensed arborist training program at the University of Manitoba! 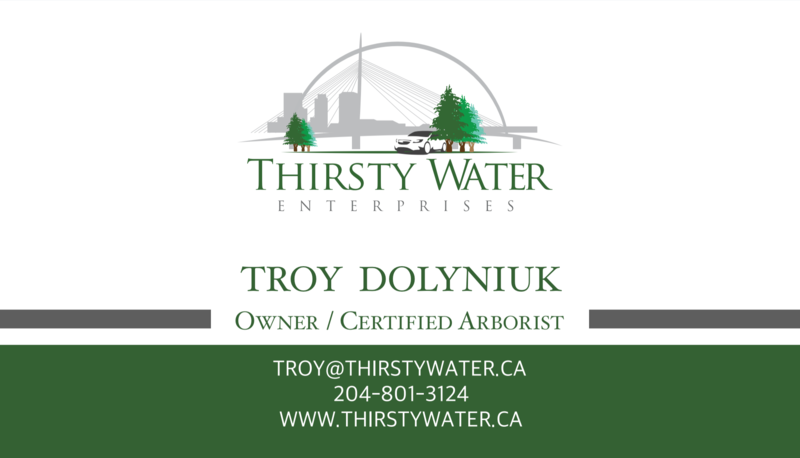 I completed the program, passed the exam, registered my business, got my business insurance (prerequisite for the license), and finally my arborist’s license from the Manitoba Conservation branch of the provincial government. I did some small jobs, and even some larger jobs, taking my time, going slowly and safely, and learning a lot in the process. Most importantly that I love being an arborist! I continue to further my education and practical training in arboriculture to be the best and safest arborist I can be. I do have a family to support, remember, so I am running and gradually building up my business on the side while still keeping my engineering day job full time.